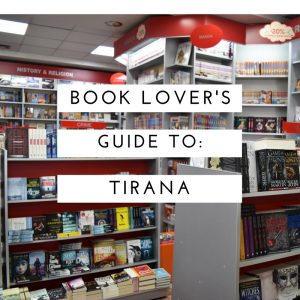 With Greece ticked and thoroughly completed, we jumped on a plane headed for Tirana, the capital of Albania. For those unfamiliar with Albania, it’s a tiny Balkan country bordered by Greece to the south, Montenegro to the north and the Adriatic sea to the west. It’s a country steeped with culture and history, a country still trying to figure out its identity and how to come to terms with its past. 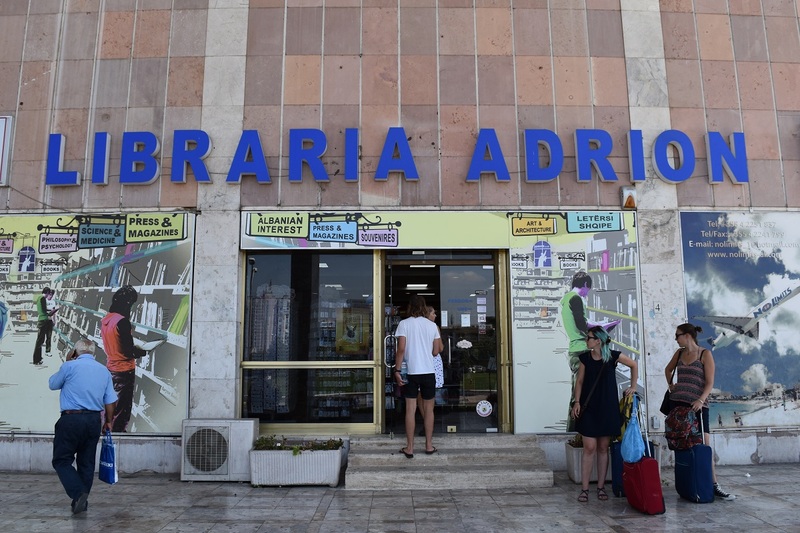 With a population of under 3 million people and infrastructure still emerging from its communistic origins, you’d be forgiven if you didn’t think there’d be many bookish places of interest in Albania. 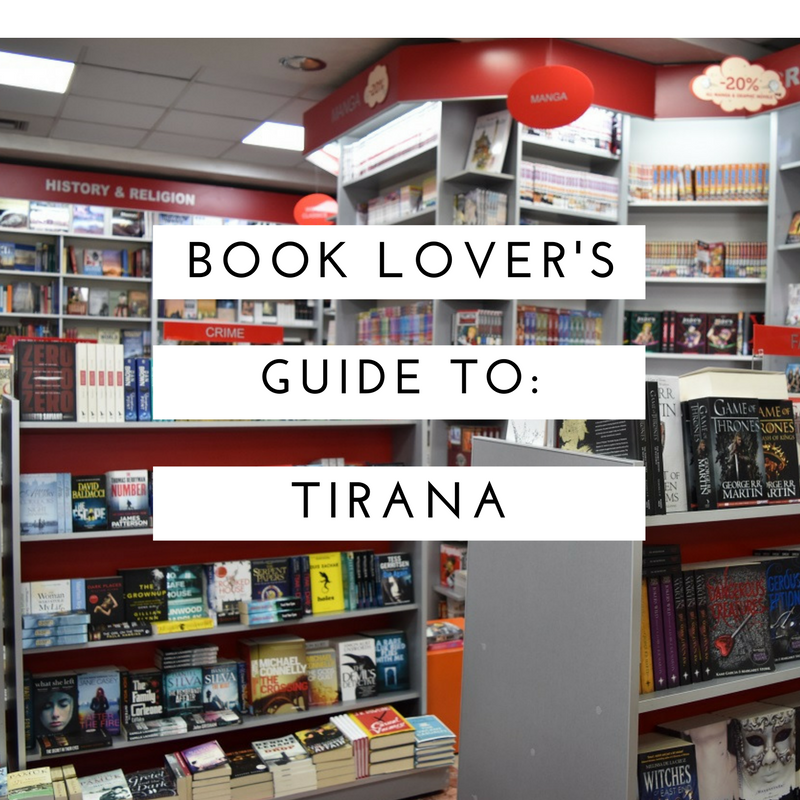 However, with a bit of digging and some perseverance, you can uncover many booklover delights. 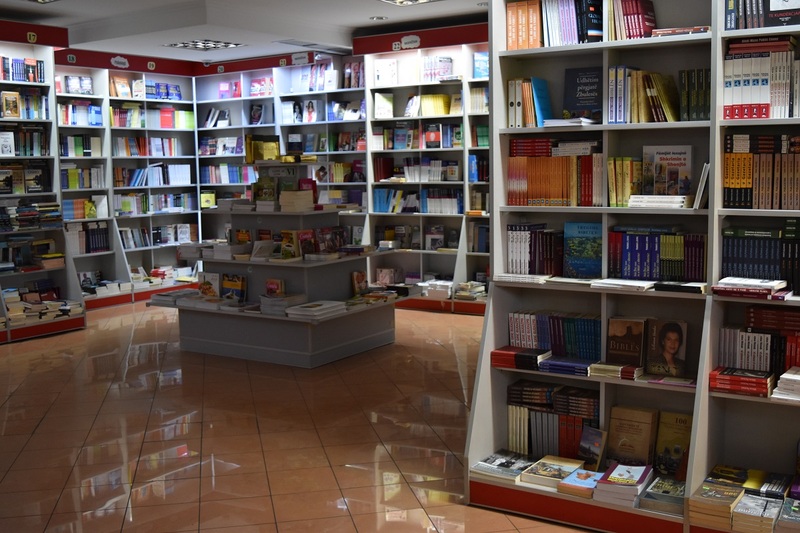 Boasting the biggest range of English books in Tirana, and possibly all of Albania, Libraria Adrion is everything you’d expect from a modern chain bookstore in a rapidly growing city. 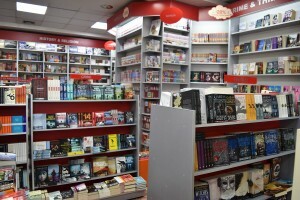 They stock the whole gamut, from YA, adult, new releases, non-fiction, crime, history, politics and more. 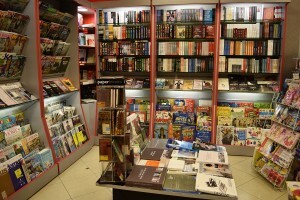 You’ll also find inside an enormous wall of classics, as well as a large selection of manga and even art books! X-Factor: As you’ve probably guessed, the range! 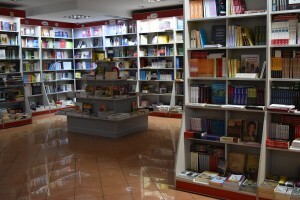 There are just so many books here, and so many of them in English as well. Somewhat difficult to find as it’s hidden on the ground floor of a small shopping centre. 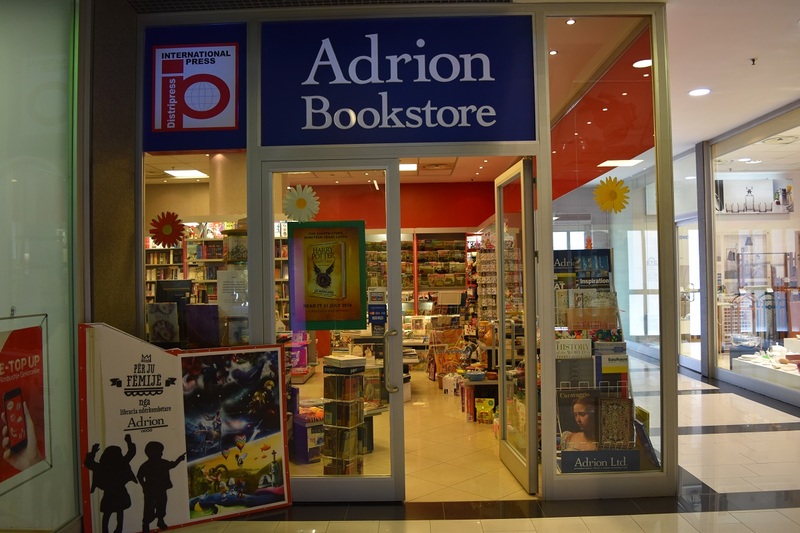 Smaller than the main Adrion bookstore listed above, this store nonetheless stocks a good range of English options in a variety of genres including classics, YA, adult and new releases. X-Factor: Much like the main Adrion store, this store dedicates a whole shelf to Ismael Kadare, a famous Albanian author. 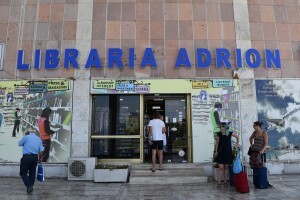 Librari Albania is a moderately sized bookstore, clearly popular with the locals looking for back-to-school items. 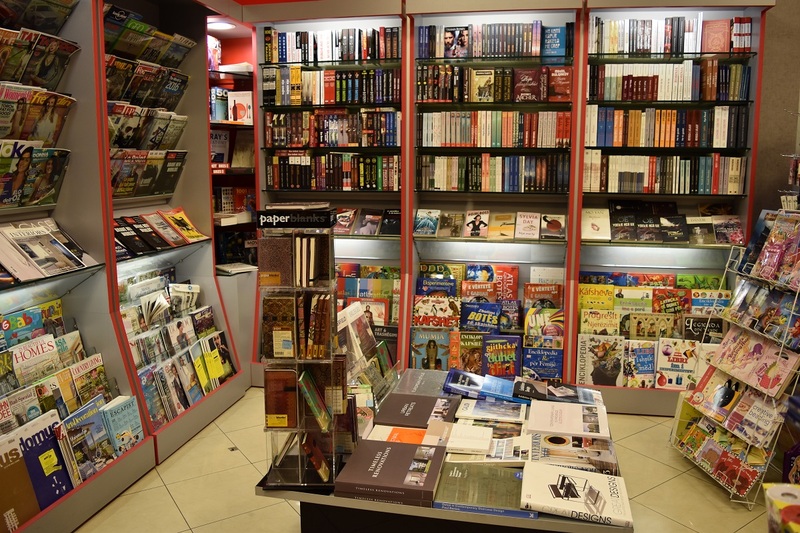 There’s a very eclectic selection of English novels and non-fiction: Think 50 Shades of Grey next to Tolstoy’s War and Peace! X-Factor: Staff member Aldo is very friendly and helpful. She speaks excellent English and even had travel suggestions for our stay. If you visit, make sure to say hello! 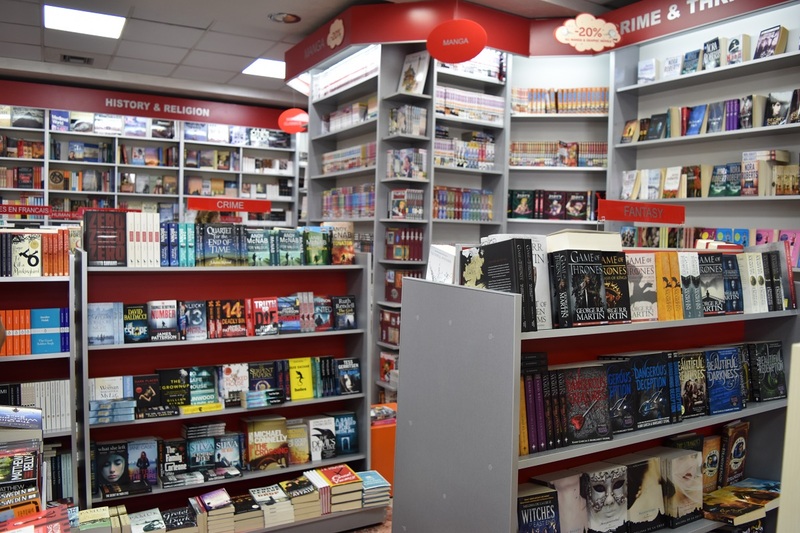 Our first European entry that is neither a library nor a bookstore! 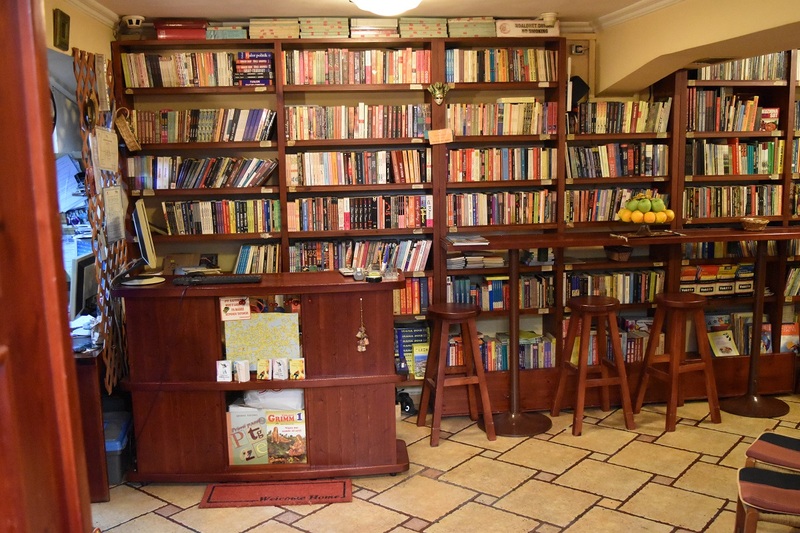 Friends Book House is a very cute book-themed café. 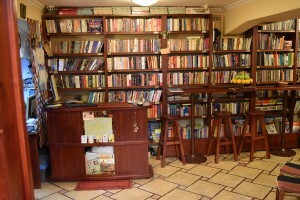 Buy a book (in Albanian) or just a drink and cake in this quaint café/book store hybrid. 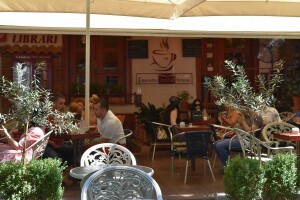 Good free wifi, and reasonably priced drinks. No English, unfortunately, but the perfect spot to alternate between people watching and reading. X-Factor: Quiet reading room which costs 100lek (around .80c Euro at the time of writing) to sit inside and read, surrounded by walls of books. We had a great time in Albania (apart from when I lost my phone, that wasn’t fun…), and from here we head to Montenegro! Stay tuned for our next update. I lived three years in Albania (2004-2007) and at that time, Adrion at Sheshi Skenderbeg was the only place to buy books in English. (Ismail Kadare was my neighbor and I saw him frequently passing by on the street or his favorite coffeeshop.) 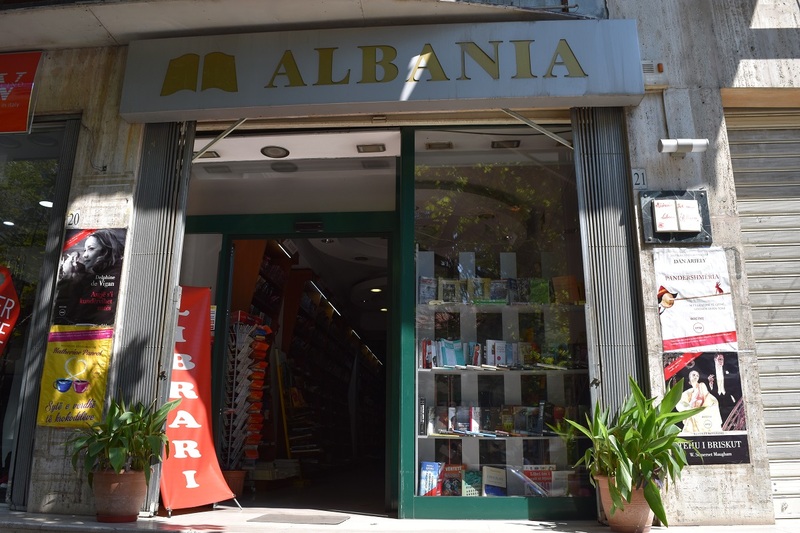 Albania is a lovely country, very much underrated still, and I am also glad that bookstore-wise the country has developed quite well in the last years. Albania was absolutely gorgeous, and was brimming with energy and enthusiasm when we visited. We loved our time there!